While writing a program, you may encounter a situation where you need to perform an action over and over again. In such situations, you would need to write loop statements to reduce the number of lines. Try the following example to implement while loop. 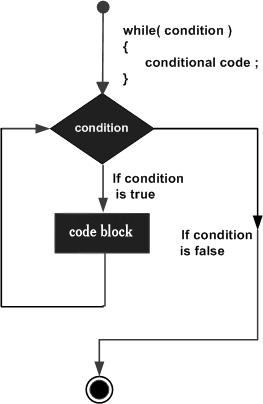 The do...while loop is similar to the while loop except that the condition check happens at the end of the loop. 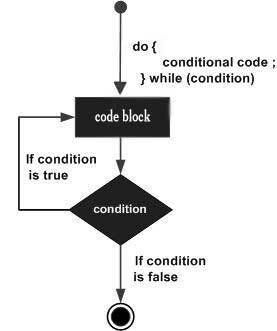 This means that the loop will always be executed at least once, even if the condition is false.